When you sign up for a trial, you'll find some example projects added to your account. These example projects cover some different project types. They provide a great example of how you might go about structuring your project within GatherContent. You can start a trial from anywhere on our website, or by visiting the sign up form. 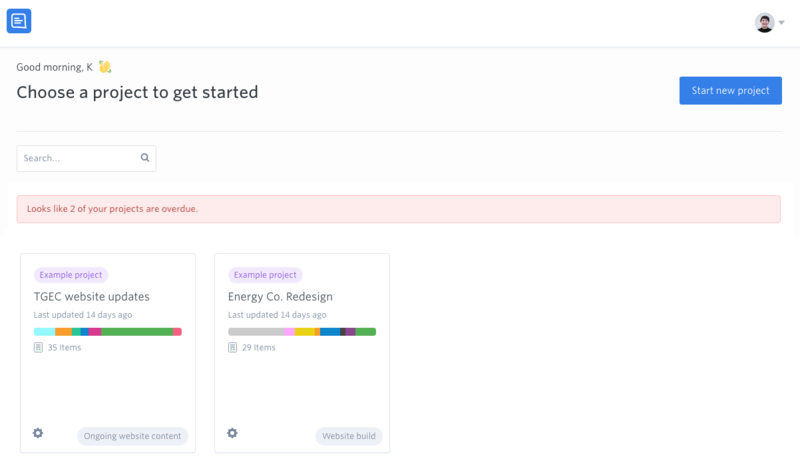 You'll find the example projects, labelled, in your project dashboard. From here, you can view and edit all the content in the example projects. Tip: You can archive any example project by clicking on the cog in the bottom left, and selecting "Archive project". You can restore archived example projects at any time if you need to view them again.